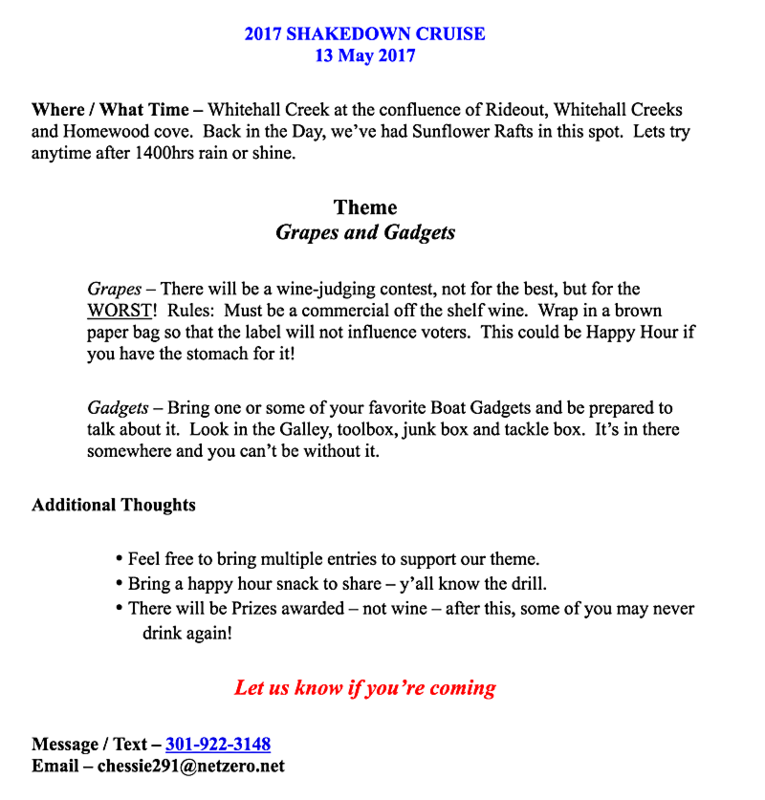 CBC has extended an invitation to other Chesapeake Bay sailing clubs to join our cruises. 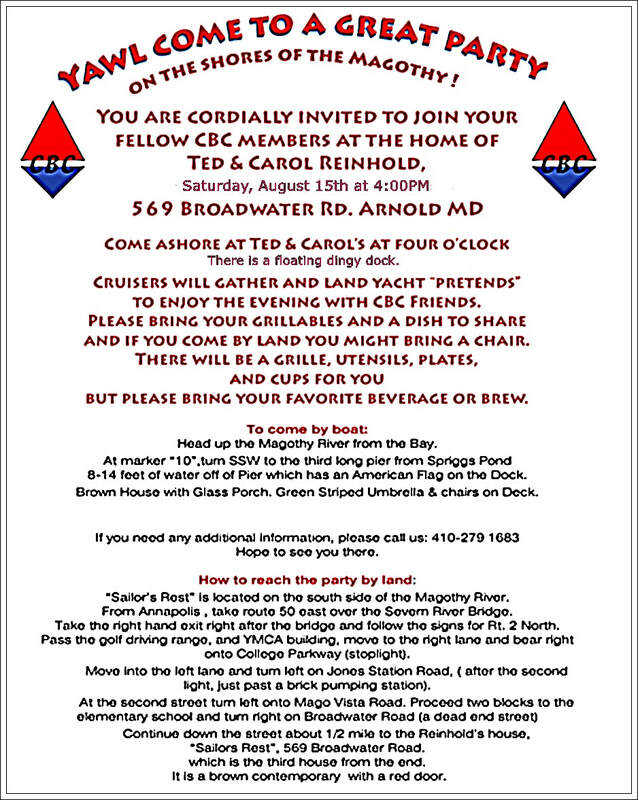 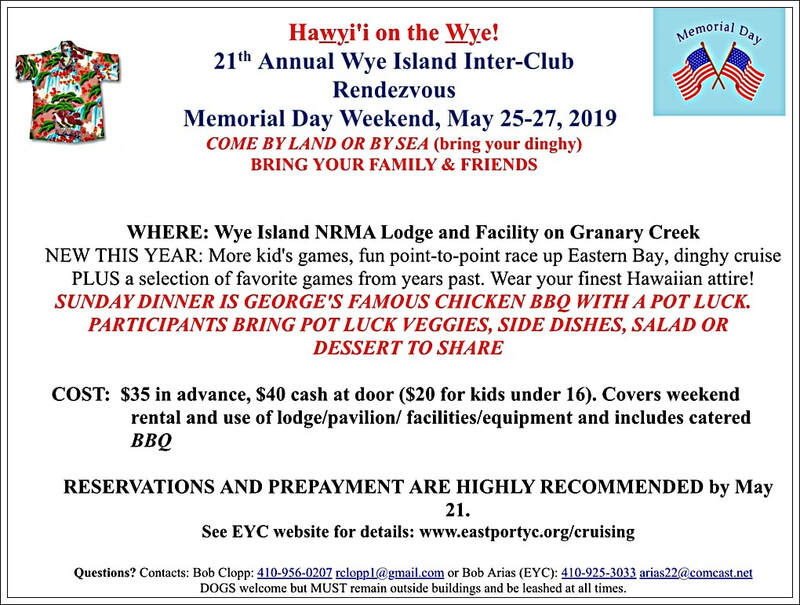 The West River Sailing Club has offered a reciprocal invitation for any CBC members to join their cruises. 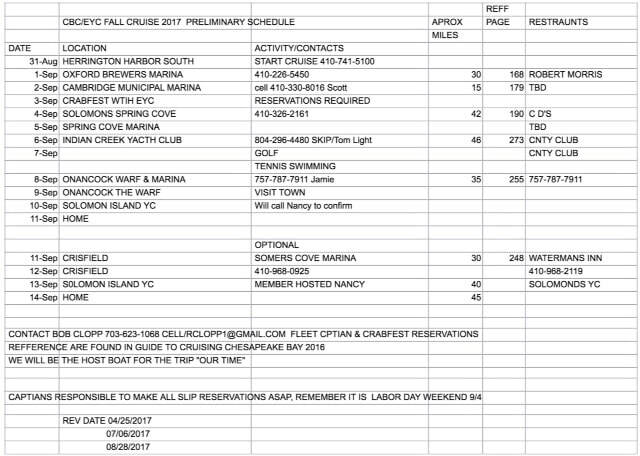 ​Below is a link to the West River Sailing Club's cruising schedule for 2017.